Gosh. I'm sure they went down to £175 or £125 when the last few were sold in the shops? Can't remember but the sets came right down to £250. Mine was £400 and I thought I'd done well. Sold it a few months later to a friend for £250 about six months after the £250 sets had sold. I have to be honest and say that if one loco cost £100, and the same loco in another livery sells for £200, then those who are paying the higher prices puzzle me a bit as all it is is a different paint job and different numbers and a different name. Pennies as far as the manufacturer is concerned in making the things. And second hand? Well. Prices can climb but they can plummit into nothingness as well. It only takes one new item to superceed it and the price drops just as quick as a dog waters a tree. Can not think this is genuine, if it is where is the evidence?? 1. I would have thought the tyres would have been drop forged not Cast. I would hazard a guess that the closest that thing ever came to the flying Scotsman was that at sometime in the past it may have been transported by rail on the same rails the scotsman traveled over, but inside a goods wagon to its place of delivery. You're preaching to a lost cause there Jim. You have to have a sneaky admiration for Gostube. You can see what he is, he doesn't even try to hide it and yet every month a good 300 punters get taken in. I sometimes wish i had the morals to take the phrase "there's one born every minute" and build a business from it. CasperGriswoldBacon wrote: You have to have a sneaky admiration for Gostube. You can see what he is, he doesn't even try to hide it and yet every month a good 300 punters get taken in. I sometimes wish i had the morals to take the phrase "there's one born every minute" and build a business from it. I still don't get it. Me and a friend set up a shop on ebay and tried to ape gostude, micmcn, mrsud etc etc and despite listing hundreds of items at the same silly prices they want we sold nothing, not a sausage, yet they do. I just don't get it. Railsofsheffield on ebay as well, I just don't understand why anybody would buy off them because they take the p*** with their descriptions, yet there seems to be a queue of people desperate to pay over the top of dodgy cobbled locos. I admit that I have purchased from Gostude and even though expensive he at least had an item I wanted which no one else was offering. Similarly, I do not understand the eBay buyer psychy. A friend and I discuss often the idiosyncrasies of the eBayer public. We reckon we could write a thesis on the phenomena. I list items accurately revealing all pertinent data applicable to the item. I list at a reasonable price, mostly far less than the same item from another seller. End result they buy from a seller with less information presented and a higher price. My friend has a great deal of success selling on eBay. He provides little to no information on an item, rips people off on postage, uses the cheapest postage method available and never refunds any overpayment, even when people make multiple purchases. He also shill bids every auction listing plus if he does not get enough at the end of the auction listing he simply cancels the listing. He also uses the information provided on the eBay postage system to personally call buyers and offers them a better deal if they purchase off eBay. Seems people like this kind of personal service. As I have found honesty is not the best policy on evilbay. People buy on eBay for two reasons only. Firstly, the item is available and secondly and most importantly, the item must be a bargain. People only pay retail on eBay if they have to and no other source has the same item available. Interesting observation based experience Tim, with which I'd concur. 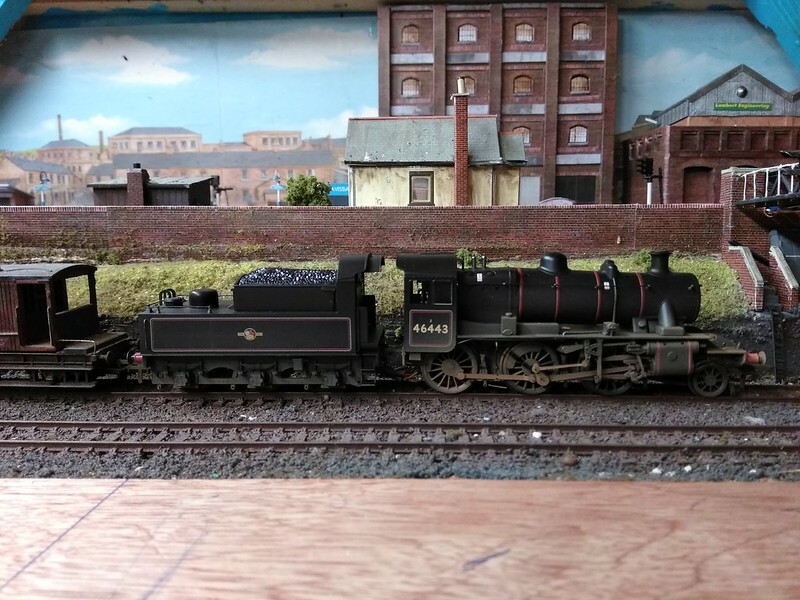 I buy a bit from eBay -always a new buyer, and quite a bit from AliExpress (not locos of course). I do shop eBay for price, and at times because they have 5% and 10% off in a regular store's eBay storefront. e.g. Example 1. I wanted a Seymour Duncan Custom 5 Trembucker pickup. Buying in AU as Hornby (r)etail is due single line import distribution, prices are insane, so I shopped best international price inc shipping from a reliable track record eBay seller. I seldom go absolute lowest price unless it is coincident with a stellar rating. Relative to the best online AU price -if you can actually source the model/colour you want, and up against a significantly advantageous total price from reliable eStores like Amazon US, Thomann DE, Gear4music UK or the best B&H in NY could do, I recently picked it up on eBay for a better price than any of them from a reputable seller, and of course covered by my CC chargeback, Paypal return shipping and eBay customer guarantee -for what that's worth. I also used eBay's 10% off promo (on the item ex shipping) into the bargain rendering my side of the deal even sweeter. Stunned, it landed on my doorstep from the continental US in about 7 days give or take without checking. It would have taken longer bumping around in the back of an AusPost semi from Melbourne! Example 2. Two recent purchases, and am considering a third. The companies in question each have an eBay store as well as an eCommerce website. Prices are the same on both in each instance. Other purchase conditions too. I bought on eBay to take advantage of their 5% and 10% off not available purchasing through the eCommerce storefront. Pays to be an aware consumer. Bundle that with one of those being a an opportunity buy of a top quality item on my shopping wish list being offered at a significantly reduced sale price promo as I did recently, eBay can be sweet used right. I have used auctions and picked up bargains on eBay over the years, but I don't bid compete. Buy it now or best offer is my go to. On bid items, when I do I pick an item usually of several new of the same listings ending at differing times, choosing the one ending at a quiet time of a weekend when much of the audience might be otherwise socially engaged. That way, if any, I am usually only live bidding against a max limit auto bid. If at first I don't succeed, I'm persistent. Rinse and repeat the next week and week after that until it does. Picked up a cheapie airbrush even cheaper, a quality compressor I wanted, expensive quality modelling tools (e.g. photo etch benders) and many other accessories years ago just doing that. I'm analytical in my appraisal and clinical in my execution. OTOH I think eBay to some is like gambling. They just derive enjoyment from "won" nonsense. Although I've attended, I don't enjoy auctions IRL much either. I'd rather negotiate precisely what I want in the condition I want it for the best possible price amenable to both parties. years ago when eBay let you see those bidding against you I would research the buying pattern of each existing bidder, noting their buying habits. I then used that research to win an auction treating the auction like a game of poker, complete with a lot of bluffing. It was fun and I usually won most listings that I bid on. I invested a lot of my time looking at the bidders' buying patterns to determine whether to bid or not. If a bidder collected certain items I had an interest in and his bid pattern showed money was no object then I passed on those auctions. In those days it was a game for me. Now whenever I buy it is "Buy it Now" only as I do not trust sellers and do not know the experience level of bidders, particularly new bidders who usually overbid on price until they learn to settle down. Use all the tools you can to profile the seller and his audience. Then you can work out who's likely to be around when the auction ends. For a sale ending around 15:00 only the unemployed and retired are likely to be around, so if there's been no apparent interest in the item try bunging in the minimum bid, with 5 minutes to go It's worked many times for me. Most other time 5 minutes is far to long you'll start a bidding war amongst the "last minute lizards"
GWR_fan, any chance of naming and shaming this "mate" so we can all avoid him like the plague and not waste our time? I have 801 feedback notes from buyers and 100% positive feedback (last 12 months). There should be more but some buyers just don't leave feedback. I list as honestly as possible (sometimes I'm not excatly sure of the item) and take as many pictures as I think would help the buyer along with the description. I usually post items within 12-24 hours, some reaching the buyer by Tuesday after an auction end day of Sunday. I don't shill bid. I communicate as and when asked or needing to ask something. I often buy multiple items off the same seller but ALWAYS chat to them first making sure postage is combined. It's a shame that there are some out there who make ebay a cesspit...... Yes I am talking about shill bidders and underhanded tactics to sell stuff. I don't do it and I won't waste my time trying to buy off those that do and often research any seller, especially for higher priced items. I've had an ebay account since before 2006 and pride myself on the imparted (insinuated?) trust that me feedback shows.